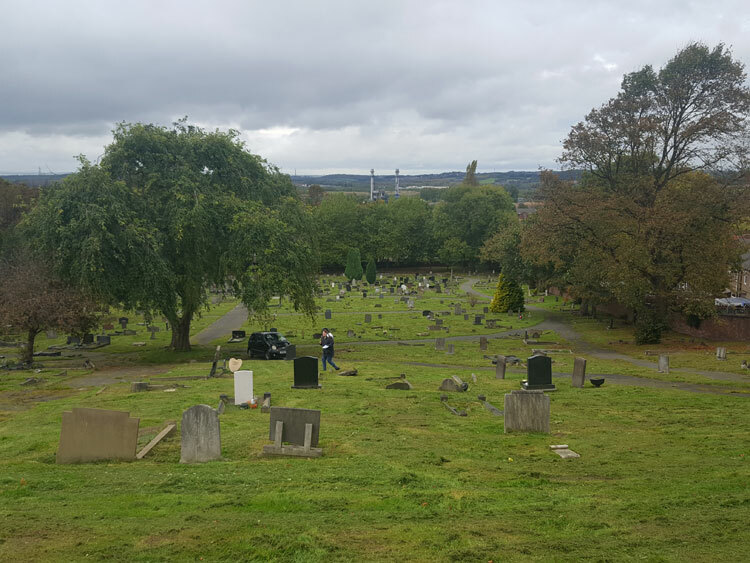 Castleford New Cemetery is located in Healdfield Road, Castleford (Metropolitan Borough of Wakefield, West Yorkshire). 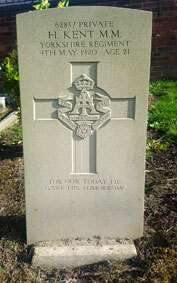 There are 26 burials from the First World War, and 21 from the Second World War, in the cemetery. Two of the burials are those of soldiers of the Yorkshire Regiment. 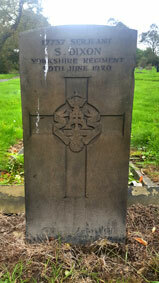 We are very grateful to Wayne Bywater (<waynetyke123@aol.com>) for the cemetery and headstone photos. 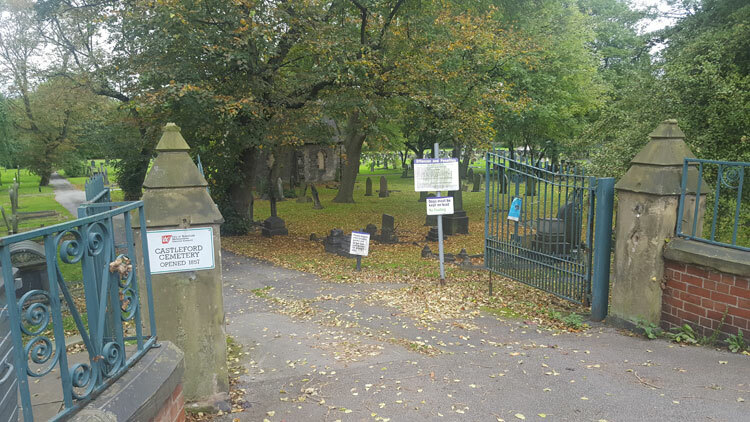 Click on the thumbnail image of the headstone for a larger version of the photo which opens in a new window. 8th Battalion the Yorkshire Regiment. 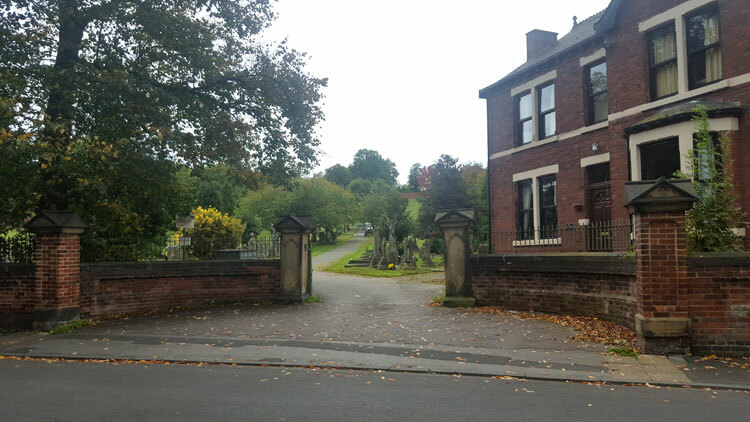 Son of William & Emily Dixon of 17 Melville Road, Woodhouse, Leeds. Died at home 29 June 1920. Aged 34. Born Kennington, Enlisted Leeds, Resided Castleford. 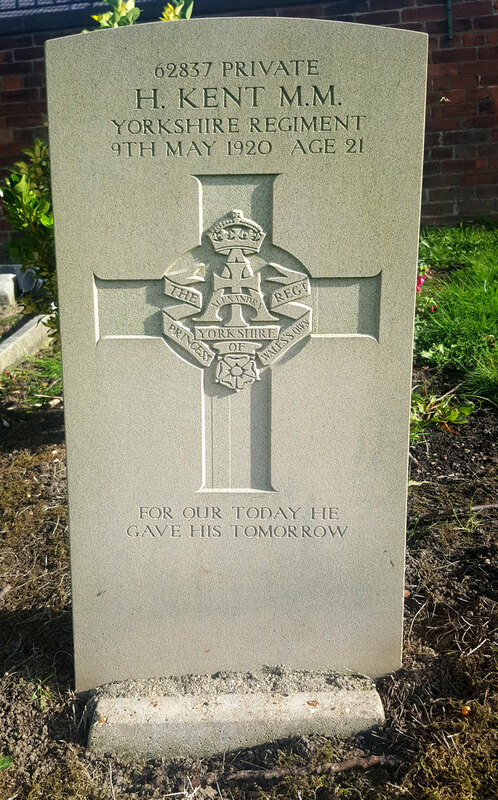 Private Harold Kent, MM, 62837. 1st Battalion the Yorkshire Regiment, formerly (44506) Lincolnshire Regiment. 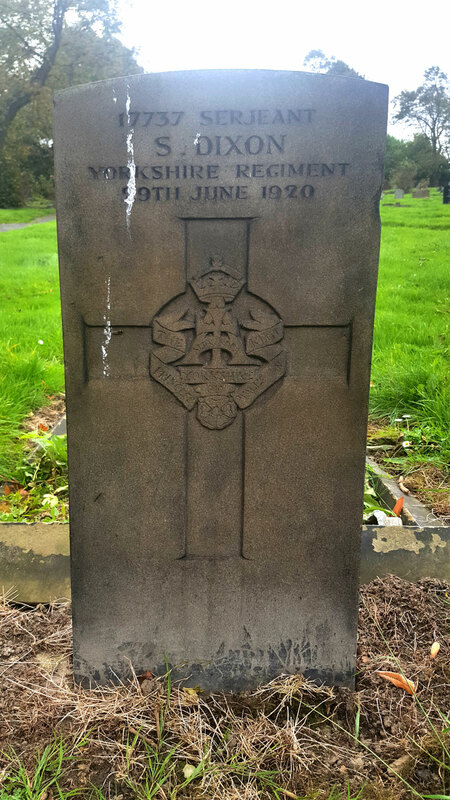 Son of Mrs Alice Kent of 4 Twivey's Building, Cutsyke, Castleford, Yorks. Died at home 9 May 1920. Aged 21. Born Goole (Yorks), Enlisted Pontefract.